Ah, Code Geass… Whatever anyone else says, it’s still undeniably “ambitious and wide-sweeping… still one of the most-intellectually engaging 5-star series” I’ve ever seen, ranking alongside other epic animes like “Death Note” and “Ghost in the Shell: Stand Alone Complex”. I finished the final episode last night, but since I’m too lazy to write any more thoughts on it, I’ll direct you to my past comments, lol. Blog 149 > Britannia Versus Galactica – My “Code Geass” post last month. 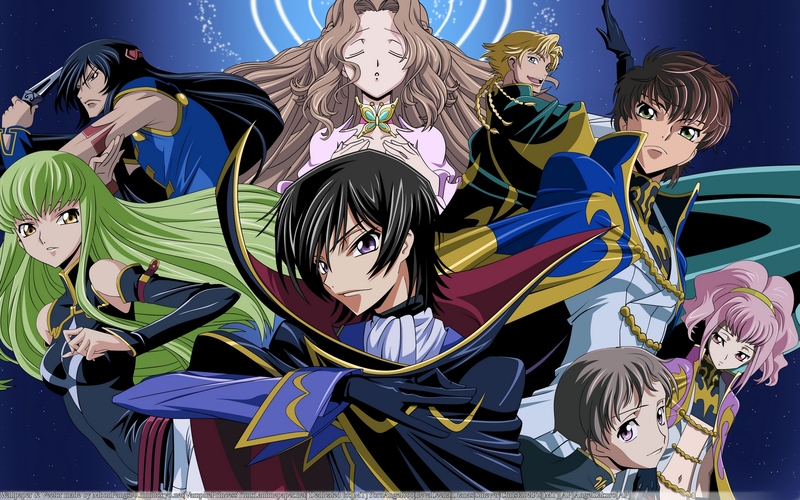 Code Geass Is Like Crime and Punishment – My comment on Mimi’s “Turn 22” post. Code Geass R2 23 – My comment on Mimi’s “Turn 23” post. Code Geass R2 Turn 24 was EPIC – My comment on Mimi’s “Turn 24” post. To All You Evil Bastards Who Hated Lelouch – My comment on Mimi’s “Turn 25” post. Anime: Code Geass R2 EP25 -END- – My quick comment on Justin’s in-depth post. Oops, sorry, I lied. I’ve got one more intriguing thought. While wandering Wikipedia, I stumbled upon a fascinating comparison. The Wiki article on Lelouch Lamperouge describes him as a Byronic Hero. In other words, as privileged yet outcast, perceptive yet flawed, cunning yet conflicted as another dark Byronic Hero ~~ Bruce Wayne a.k.a. Batman. Wow, never would’ve made the connection before. But yeah, they definitely share the same intense burdens of a secret identity, sacrificing personal happiness, and wielding their righteous power from the shadows. Lelouch Lamperouge’s Zero and Bruce Wayne’s Batman. Both symbols of dark justice in their respective worlds. Posted in Batman, Code Geass, Friends & Family, Music. Tagged Batman, Byronic Hero, Code Geass, Dark Knight, Lelouch, Nell.